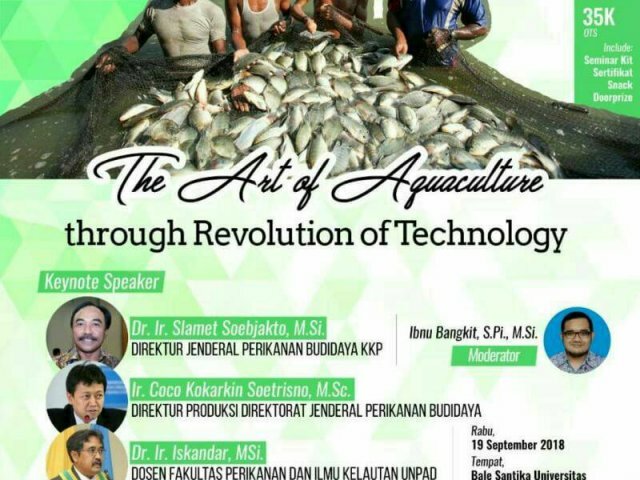 "The Art of Aquaculture through Revolution of Technology"
Dr. Ir. Slamet Soebjakto, M.Si. 1) Ir. Coco Kokarkin Soetrisno, M.Sc. 2) Dr. Ir. Iskandar, M.Si. Be there for something much more amazing, only in Intechnoculture 2018!